Real World Gardener: Wattle Will Goldilocks Do with Juniper? 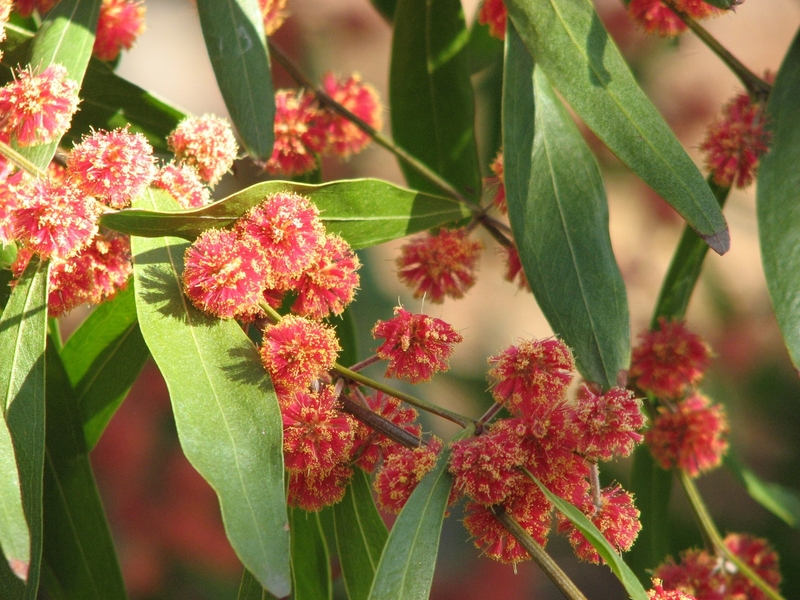 This small tree is native to desert regions so it’s hardy and drought-resistant. Juniper berries have a bloom. 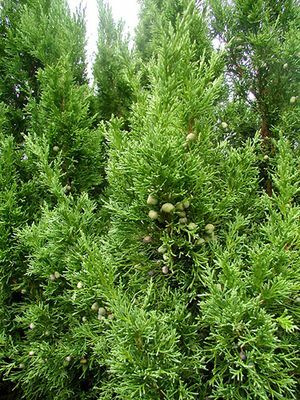 Conifers in general have pine cones however the Juniper bush has what appears to be fleshy berries with a large seed inside. 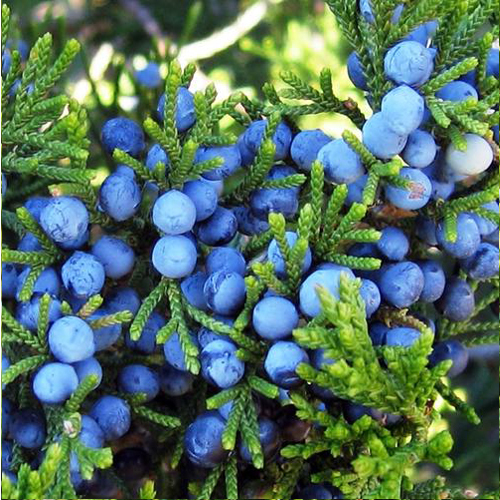 The berry of the culinary Juniper, Juniperus communis, is somewhat smaller than a blueberry and and about the same size as an Allspice berry. Ian says Juniper berries are a demon to harvest because they don't all ripen at once, and the needles on the Juniper tree are very prickly, so you need protective gloves. The berries can be used to flavour your own gin. Start with some vodka to which you can add whole Juniper berries, some Coriander seed, and Grains of Paradise. You can crush the berries in a mortar and pestle if you wish. The piney flavour of the berries help to balance foods that are rich or cloying, such as Duck or Pork. Juniper berries go great in a meat pie either used whole or crushed. Unlike other conifers that have either needles or scales, juniper trees have both, sometimes on the same branch. The needles have sharp edges and a pungent, distinctive scent, sort of like Rosemary with Citrus undertones. The berries look like smaller blueberries, juniper berries also appear in red or copper, and are in fact soft cones. Like typical hard and prickly conifer cones, juniper berries also contain the tree's seeds. What vegetable plants, herbs and fruits will grow in your garden this Spring? Have some or no idea? Well here’s a few seconds of music so you can go and get pen and paper to jot down what you might grow in your gardening zone. It may just jog your memory to remind you to get started on one or two veggies that you had forgotten about. In temperate areas the soil is still pretty cold. For some of us the late frosts can pop up after a run of warm days and rain might be in scarce supply, depending on where you live. There’s no rush to get summer crops in the ground. If you’re desperate to get warm season crops in like tomatoes, your best bet is to start them indoors where they are protected or use a heated propagating mat/tray. Be prepared to protect them on cold nights, and plant seedlings out in the open when the risk of frost has passed. The kind of veg you can grow in September is "shoulder" season stuff like spinach, peas, turnips, kale, broccoli, cabbage, lettuce, Asian greens, mustard, silverbeet, carrots, beetroot and radishes. Depending on where you are, you could also grow beans, rosella, eggplant, sweetcorn, sweet potato and zucchini. It’s also a good time to plant herbs such as coriander, dill, mint, rosemary, thyme and parsley, and perennials such as rhubarb and globe artichokes. And of course spring onions. 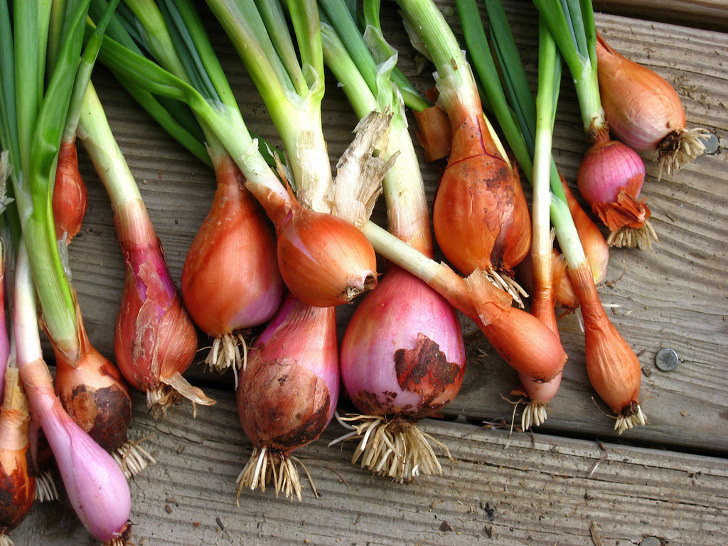 They're the easiest onions to grow and are absolutely made for planting in September! 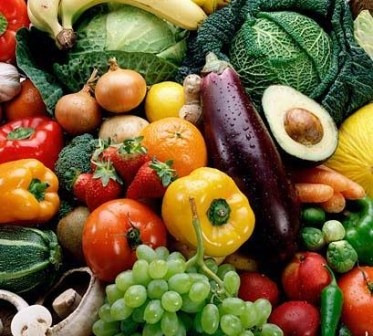 In arid and semi arid zones it's getting warm enough to plant early summer veggies such as bush and climbing beans, corn, tomatoes, tomatillos, basil, beetroot, silverbeet, lettuce, potatoes, carrots, parsnips and zucchini. Hold off on capsicums, eggplants, and cucurbits like watermelons, cucumbers and pumpkins until next month. The herbs you could sow are pretty much all types of herbs. Watch out for fruit fly and control spray lawn weeds. In the frost-free subtropics you can get stuck into planting heat lovers such as capsicums, eggplants, tomatillos, pumpkins, and watermelons. You could also get in a fresh sowing of sweetcorn, basil and okra, along with perennials such as sweet potato, yam, taro, cape gooseberry, lemongrass and passionfruit. These all need warm soil to germinate, and tend to grow well in the spring dry season with extra watering if needed. It’s also a great time to plant citrus trees, guavas and other subtropical fruiting evergreens. For the topics or sub-tropics, it’s a good time to sow some herbs too. The herbs you could sow or plant are basil, chives, coriander, dill, mint, oregano, parsley, sage and thyme. In the tropics, it’s a good time to get in a fresh sowing of sweetcorn, basil and okra, along with perennials such as sweet potato, yam, taro, cape gooseberry, lemongrass and passionfruit. Cool Temperate& Southern Tablelands and Tasmania, Sow broccoli, cabbage, carrot, cauliflower, celery, beetroot, cucumber, leek, endive, lettuce, silver beet, snow pea, spinach, strawberry, sweet corn, zucchini and tomato. Traditionally, you don't plant your tomatoes in Tasmania until late October, but you can make an early start and hopefully get fruit by Christmas - if you give your plants a bit of protection." For those of you without a veggie garden, perhaps it’s time to start one now in a sunny spot. If you are limited by space and are planting in pots, make sure you choose the sunniest part of your balcony or courtyard. Begin your veggie garden by digging over the soil, then adding two kilograms of compost or cow manure per square metre and then mix in well. By also adding two handfuls of dolomite every square metre, you’ll prevent blossom end rot happening in tomatoes and will also add essential calcium to the soil. 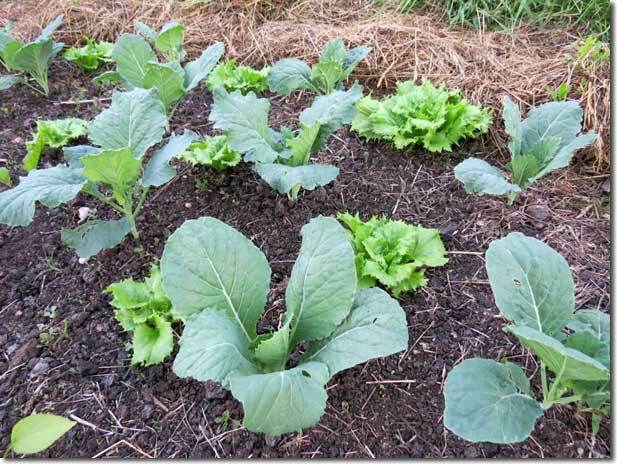 Dig compost into the garden beds four weeks before planting any seedlings. But that’s OK, because you can start your veggies off in punnets or trays first and they should be ready to plant out by then. There’s a few available so just pick one that suits your area. 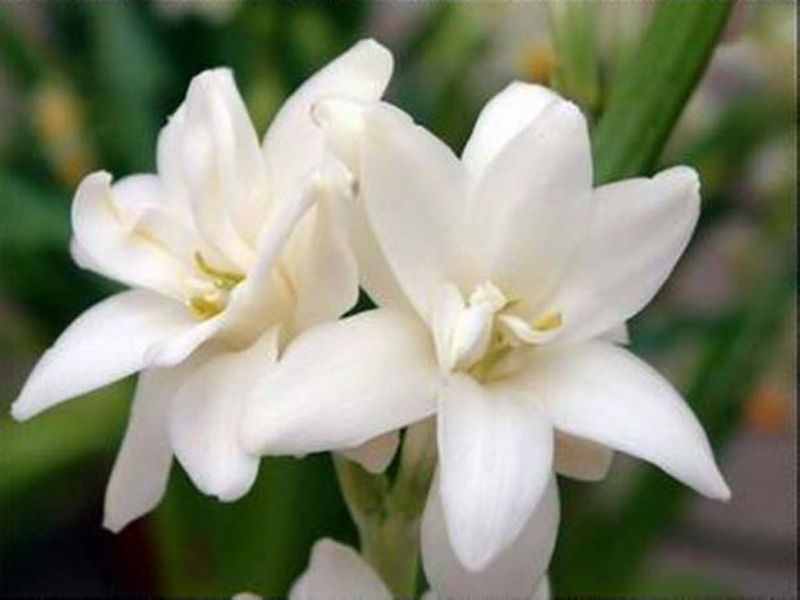 When it comes to bulbs you probably know hyacinths and peonies and paperwhites as fragrant choices - but did you know there are bearded iris, daffodils, hostas and even tulip varieties with a luscious scent? Let’s find out more. I'm talking with Landscape Designer Peter Nixon. 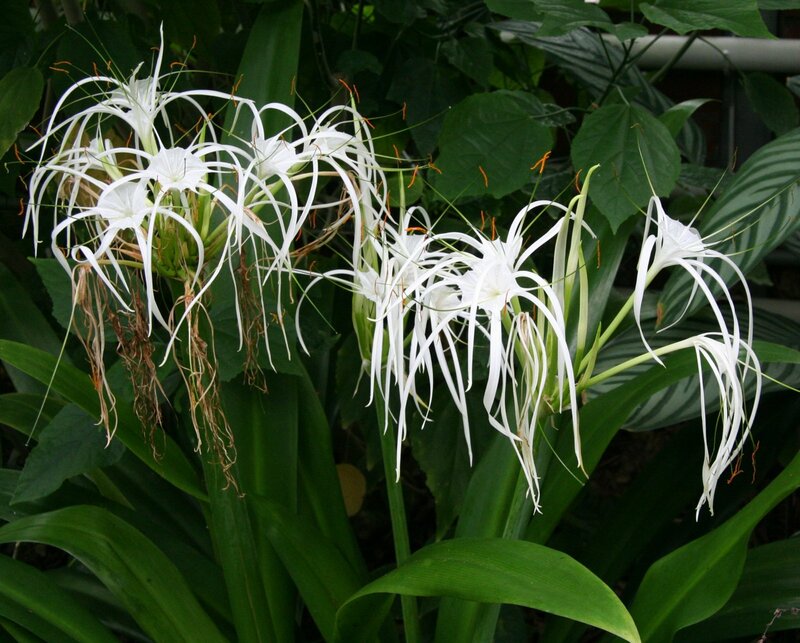 They’re missing the third dimension – fragrance puts the whole garden onto another level. Why not grow all of these plants so that you can turn your garden in to a perfumed paradise all year round. The Plant Panel choose their favourite Acacias. Wattles herald the coming Spring with masses of mostly yellow blooms all throughout our bushland, parks and reserves and even in some gardens. This mass display is mostly seen as winter draws to a close but did you know there’s one of these in flower somewhere in Australia at all times of the year? Let’s find out what our favourites are? Scarlet Blaze It is a small tree or large shrub, growing to 5 metres high and 3 metres wide. 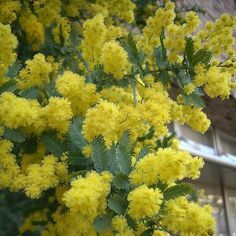 All forms of Cinnamon Wattle, and so this one, have leaves that release a cinnamon-like scent from its foliage, particularly in hot weather. A Grafted Standard form of Acacia baileyana that makes a stunning feature plant to the landscape. It has grey fern like foliage and bright yellow rounded flowers that bloom in late winter to spring providing a mass display of grey and gold in a weeping waterfall habit. No secret about this plant of the week because the Australian National Colours of green and gold are representative of the Wattle in flower. Did you know that the wattle, specifically Acacia pycnantha was officially proclaimed as the National Emblem on the 19th of August 1988, but has been unofficially accepted as our Floral Emblem since federation in 1901? It used to be in August but now September the 1st is National Wattle Day in Australia. The Golden Wattle is an Australian Symbol of unity, resilience and spirit of the people of Australia.